ESO Supernova Exhibition — What are the differences between galaxies? What are the differences between galaxies? The arms of spiral galaxies contain clouds of gas and dust from which new stars are born. 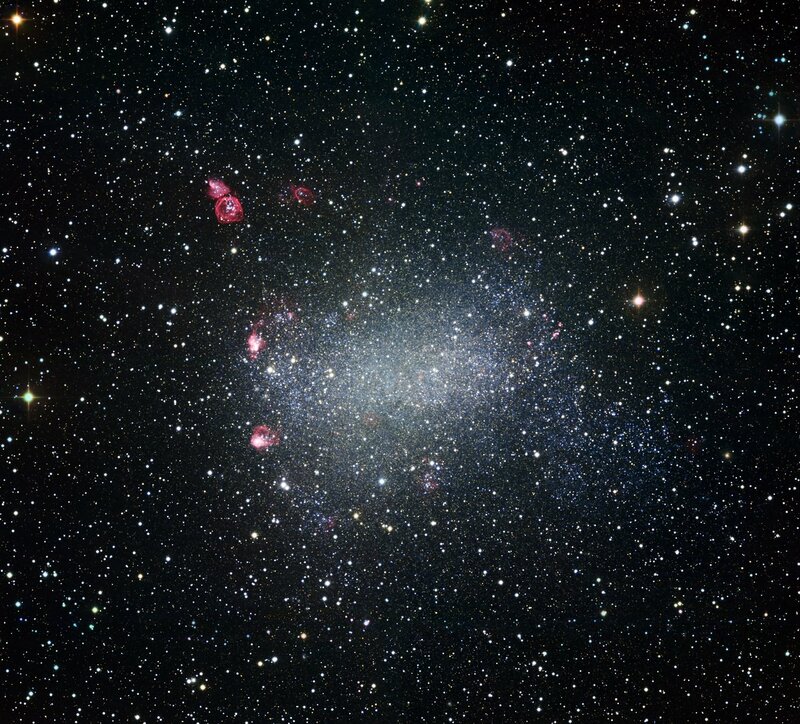 In contrast, most elliptical and dwarf galaxies are almost devoid of gas, and star formation has almost ceased. A bar with arms: Resembling a giant garden sprinkler, the galaxy NGC 1300 has an elongated central bar and just two major spiral arms. Birth control: This almost spherical elliptical galaxy contains hundreds of billions of stars. However, in most ellipticals star formation has almost come to a complete stop. 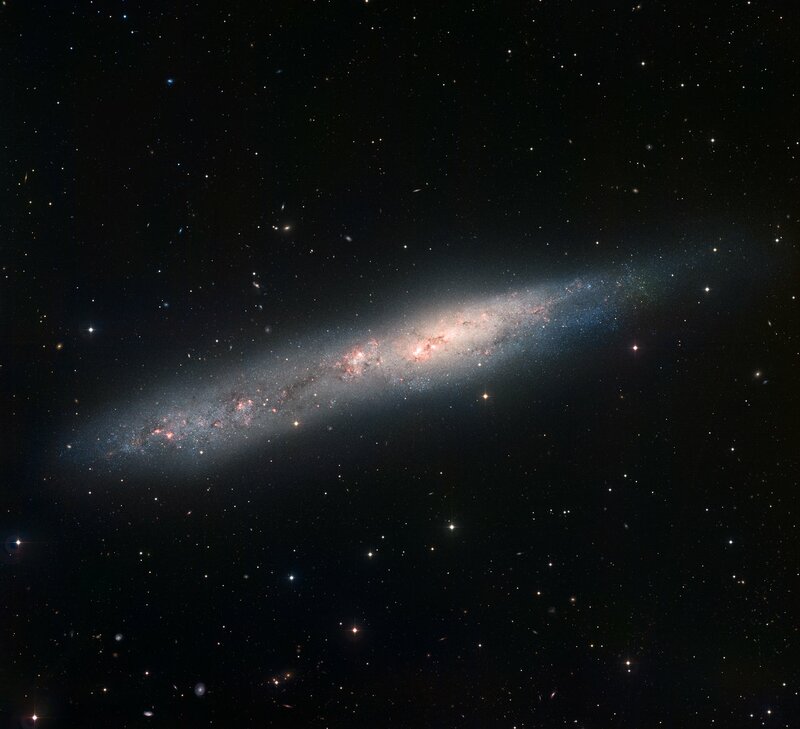 Galactic harassment At a distance of 7.5 million light-years, NGC 55’s irregular shape and its high star formation rate are probably due to interactions with other galaxies. 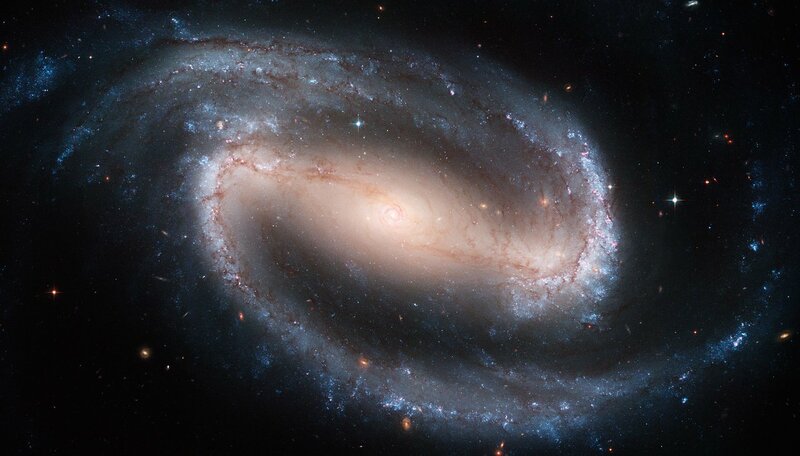 You can see it for yourself: spiral galaxies contain lots of bright nebulae and star clusters — signs of star formation. In elliptical galaxies, almost no new stars are being born anymore.